Another week, another failure for Cam Newton and the Panthers. 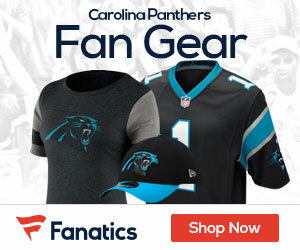 At home vs the Seahawks, the Panthers had a number of chances to covert late, and instead of getting it done and going on for a big win, the Panthers were unable to get it done, falling to Seattle 16-12 to fall to 1-4 on the year. 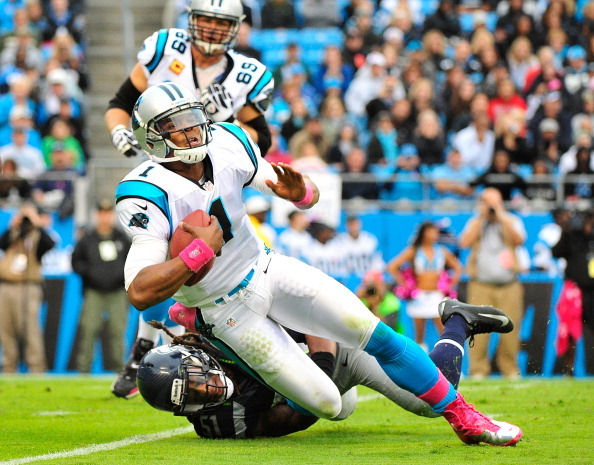 Newton and the Cats had a shot late after hitting Brandon LaFell for a 17-yard pass play down to the Seattle 6. With four shots, the Panthers couldn’t get it done, with the final play seeing Newton roll out, and bounce a pass in the end zone to end the Cats real last threat. The defense couldn’t get the ball back before allowing Seattle back Marshawn Lynch to rumble for a key first down, and when the Panthers got the ball with 53 seconds at their own 31, two play in Bruce Irvin stripped Newton, forcing a fumble that Seattle recovered to seal the win. On the day the Panthers ran the ball for just 82 yards on 19 carries. Carolina had just 190 yards on offense and held the ball for just 24 minutes vs a good Hawks defense. The Panthers are on the bye next week, and will play host to Dallas in two weeks on October 21st.